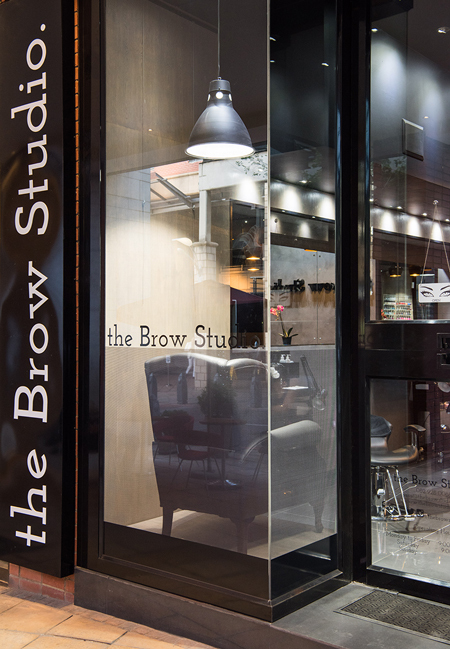 We specialise in the shaping, correcting, colouring and tattooing of eyebrows. To shape eyebrows, we believe in only the tweezing technique. 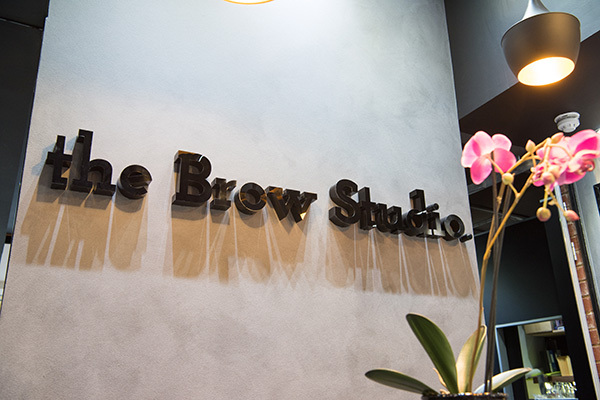 Whilst the most common method of shaping is waxing, the tweezing method results in the least amount of pain, irritation and redness. Waxing can sometimes take a thin layer of skin off the eyebrow area, and leave you with redness and inflammation post treatment. Threading is very quick, but also very uncomfortable and also usually results in redness, inflammation and irritation because of friction caused by the rubbing of the thread. We have created and developed an extremely quick and effective tweezing technique, which means it’s not painful. You simply enjoy the results of the most precise and neat finish and the most hygienic of the three methods. 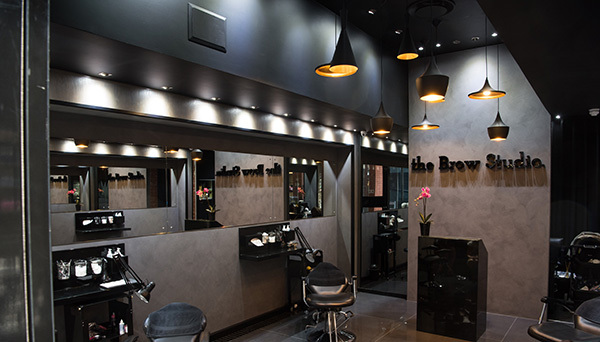 Believe us at the Brow Studio — once you tweeze, you won’t go back! This is a colour treatment that involves dyeing your eyebrow hairs and some of the skin underneath. The tints are made up of a semi-permanent dye, very similar to hair dye. It is used to enhance and improve the colour, shape and thickness of your brows. The results are immediate and usually last for 7-10 days. This treatment is for clients that want a little more than regular tinting, but aren't quite ready to commit to something as permanent as Microblading. With 7 different colours to choose from, the henna stains the skin and hair at a much deeper level than regular tint, leaving you with results that last up to 3 weeks. We use it for slight corrections and filling in any gaps. Henna Spa Tint uses no ammonia or hydrogen peroxide to develop the eyebrow colour, therefore it is safe to use during pregnancy and breastfeeding. This amazing new eyelash enhancement procedure offers a semi-permanent curl and lift for natural lashes. Unlike eyelash perm products that use uncomfortable clunky rods, the Lash Lift procedure uses flexible silicone shields to get right to the lash root and produce a long-lasting beautiful lift. We include a lash tint during this treatment. This is a brand new product that was first developed in Latvia, and is now very popular in the Baltics, Europe, USA and Russia. Lash Botox is a great alternative to Eyelash Extensions, as well as a treatment after having your Lash Extensions removed, or as an additional application to your Lash Lift & Tint. It is a hydrolyzed Keratin mask that strengthens and nourishes your natural lashes with proteins, Argan oil and vitamins. Without damaging them, the nourishing mask fills each natural lash with Keratin to make them thicker, fuller and appear longer and curled. As a bonus, this treatment will strengthen your lashes. SPM is a formaldehyde-free, hypoallergenic, flexible lash coating with a similar effect to that of mascara — but with the staying power unlike any other! This treatment can be done to both upper and lower lashes, allowing for smudge and waterproof wear that can last 2-4 weeks. It can be done as a stand-alone treatment, but we always include a lash tint before application. For the most dramatic results, pair it with a Lash Lift & Tint. It is also a great complement to Lash Extensions when applied to the lower lashes only. SPM is ideal for ladies that prefer a natural everyday look, gym bunnies and sports enthusiasts, or those going on a beach holiday. Microblading or eyebrow embroidery is a manual method of semi-permanent makeup. Results last 1-3 years, depending on the different factors affecting the procedure. We highly recommend a touch-up once a year to retain the shape and saturation of the pigment. Using a very fine blade to deposit pigments into the epidermis, there is no ‘spilling’ under the skin. Because we impact colour closer to the surface, the strokes appear crisp and very fine, and the results are natural looking, hair-like strokes — regardless of the amount of hair present. 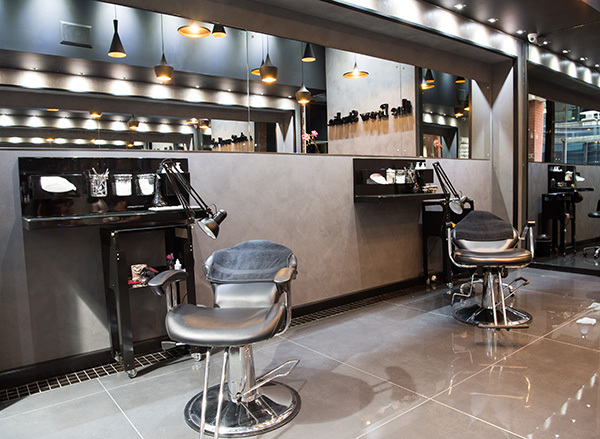 This method is ideal for anyone wanting to enhance the look of their eyebrows and people suffering from alopecia, trichotillomania or any other condition that causes hair loss, benefit greatly from Microblading. Initially, your brows appear darker, but then fade significantly over a 2-week period. It is absolutely crucial to have a touch-up done 3-6 weeks following your first treatment, as it is difficult to predict how well your skin will retain the pigment. With Classic Lash Extensions, we apply a single lash extension to each of your individual lashes. These lashes are usually between 0.10mm – 0.15mm in diameter and come in a variety of lengths to suit your specific needs. With Volume Lash Extensions, we apply thinner, finer lashes in clusters of 2-6 to each of your individual lashes. These lashes are usually 0.07mm in diameter and come in a variety of lengths to suit your specific needs. These Volume Lashes give a much softer, more natural result. Permanent makeup is possible through a procedure called Micropigmentation, during which organic pigment is embedded beneath the skin in the dermis to add permanent colour. It involves a handheld device that punctures the skin hundreds of times per minute with a very thin needle and pushes the pigment into the desired location. Results last 7-10 years, depending on different factors affecting the procedure. We highly recommend a touch-up once a year to retain the shape and saturation of pigment. With Lash Line Enhancement, pigment is placed in your lash line at the base where your lashes grow from. It is not ‘eyeliner’ and it simply makes your lashes appear thicker and darker, therefore framing and defining the eyes. The line is thin enough that when your eyes are closed, the tattoo line can’t be seen. The result is therefore a natural enhancement. We highly recommend a touch-up 6 weeks after the initial treatment.